I'm new to Amalthea and working currently with Version 1.1.1. I have to continue a colleague's work who worked on 1.0.3. After importing his project I couldn't access the models. The editor could not be opened because the file located at <location>/model.amxmi is either not a model file or a model file that is out of scope. This happens to all the models he has in the project. 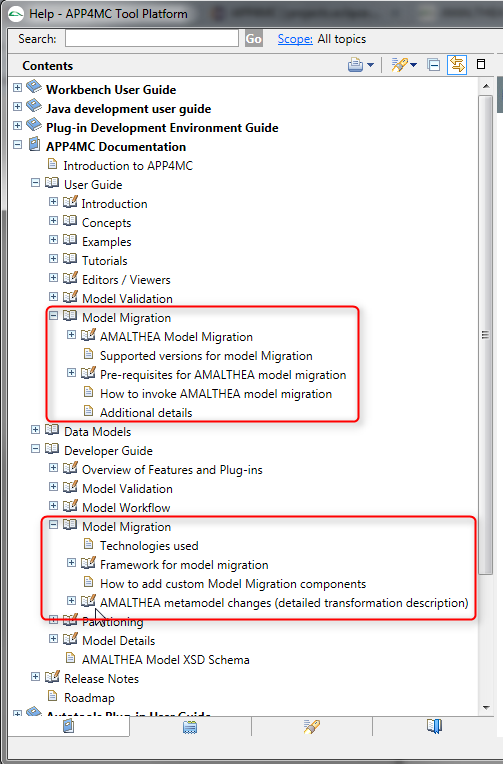 For loading models from old versions (e.g: 1.0.3) of AMALTHEA into the latest version (e.g: 1.1.1), they should be migrated. with respect to your request we can migrate the models for you, as we have the utilities already in developing and testing phase. Unfortunately I suppose that those data is confidential therefore please contact me directly. But as you already mentioned the data is very confidential so it is no option for us to let you migrate the model and we will wait until the next version will be available which is (hopefully?) able to migrate the models. Zakir, can you give an estimated date when this version could be available? This distribution contains the feature of "Model Migration" i.e. migration of AMALTHEA models from one version to other.